Built in 1933, LILY has worked continuously as a commercial vessel for 84 years. 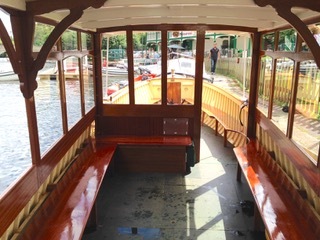 She is one of Borwicks prolific output of passenger vessels built to operate on Lake Windermere. She moved to Stratford-upon-Avon in 1989 where she is in service regularly from April to October. 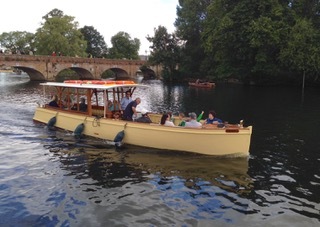 In 1989 she was purchased by Avon Boating, (formerly GH Rose & Sons), from Bristol and moved to Stratford-upon-Avon. 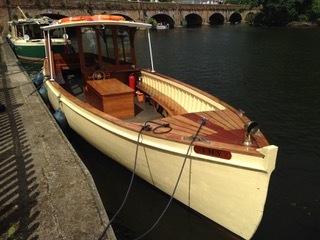 In 2016 she underwent various work including steam bent timbers replaced aft of midships, several planks replaced and her keel re-enforced to strengthen the hull. In 2017 she was converted to electric drive and a new cabin was re-constructed from the vessel’s original blueprints.